These ESL/EFL worksheets will help learners practice months of the year vocabulary, ordinal numbers, dates and festivals. 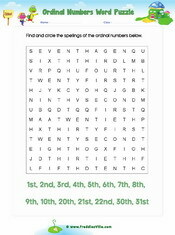 Worksheets include: Date & Calendar reading comprehension, 30 days hath September rhyme and ordinal numbers word search. 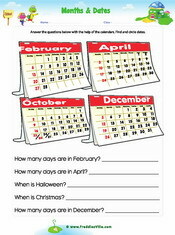 Teach children the months and number of days in each month using this ESL months of the year rhymes worksheet.